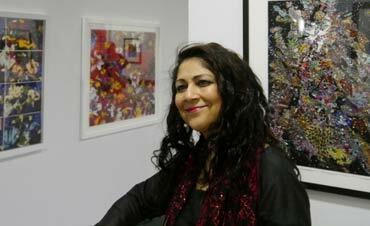 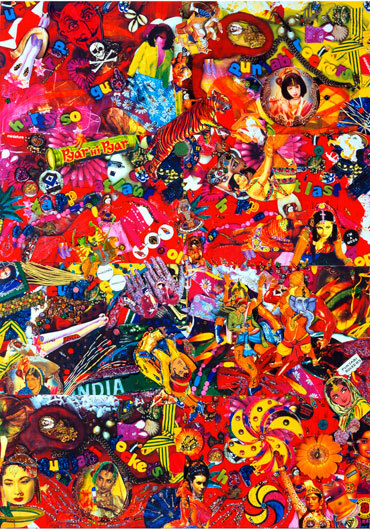 Exhibition: My Rangila Merry-go-round: Chila Kumari Burman 20 February - 19 April 2015. 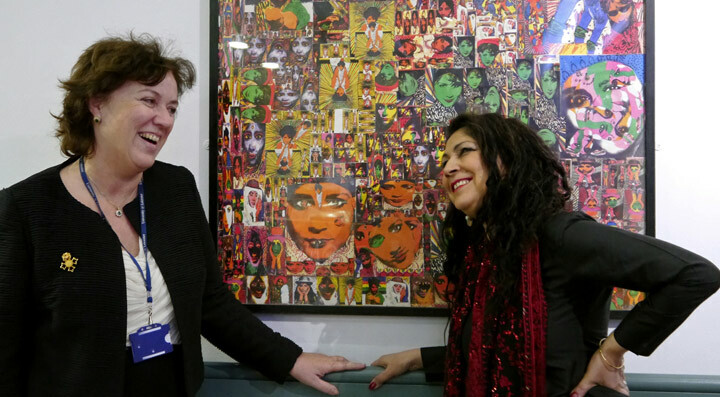 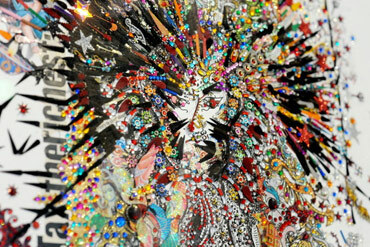 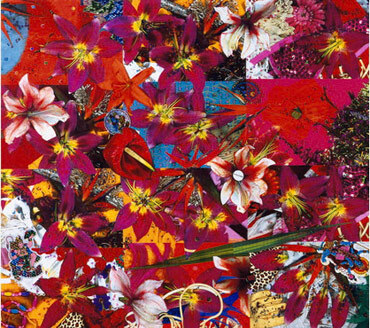 For more than twenty years, visual artist Chila Kumari Burman has been generating powerful pictures of contemporary Asian feminisms, informed by bold colour, with direction from street politics, graffiti, Hindi film, fashion and found objects. 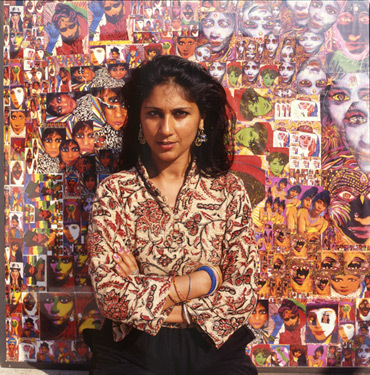 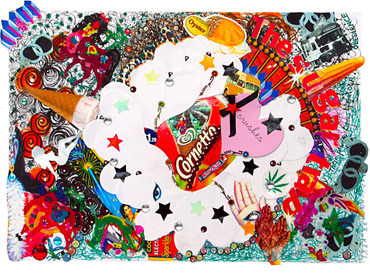 Born in Liverpool to a Hindu-Punjabi family, Burman draws upon her personal and family memories and motifs from her history, working experimentally across print, collage, mixed media, paint and photography. 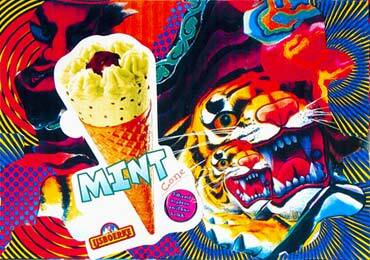 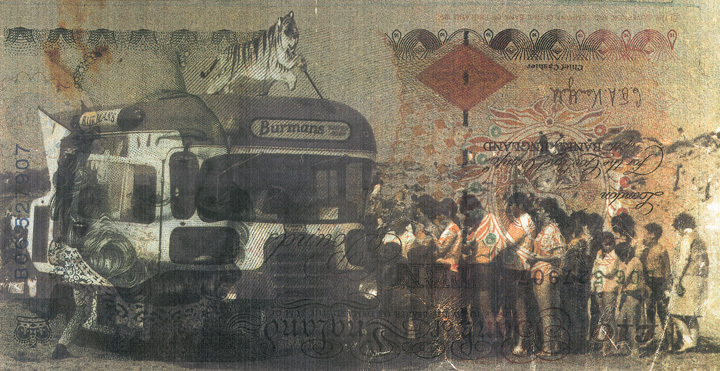 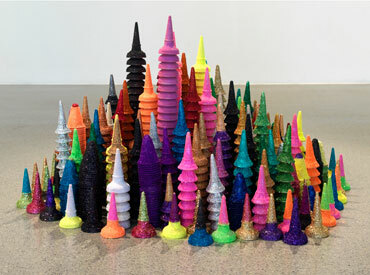 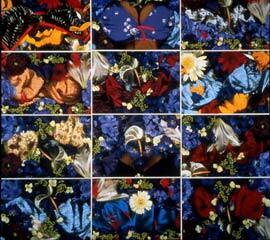 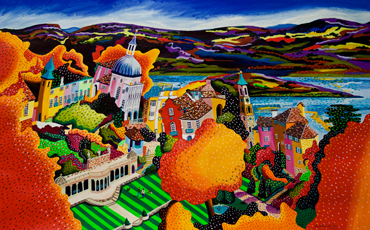 Burman attended the Southport College of Art and Leeds Polytechnic (BA Hons, 1st Class). 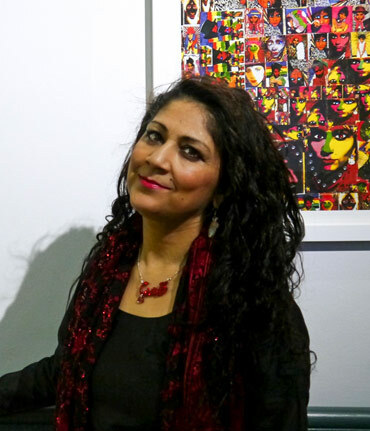 She has lived and worked in London since joining the Slade School of Fine Art (MA Printmaking) where she developed her focus on shifting formations of class, gender and ethnicities in the postcolonial context of contemporary Britain.